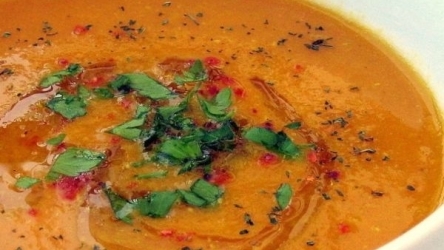 Shourbet Adas is an Iranian food recipe of red lentil soup also served all over the middle east. Place olive oil in a large stockpot and heat over medium heat. Add onions and saute 3 to 5 minutes, or until soft but not brown. Add lentils and water and stir well. Raise heat to high and bring to a boil. Reduce heat to medium, cover, and simmer for 45 minutes to 1 hour, or until lentils are tender. 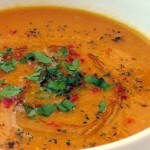 Remove soup from heat and let it cool slightly. Pour soup into a blender and process until smooth. Return processed soup to stockpot. Add cinnamon, salt, and pepper, stir well, and heat through. Serve hot and garnish with fresh parsley.